Amidst the ever increasing competition, Hyundai i20 has managed to continue as one of the most popular choices, when we talk of premium hatchbacks. The Swift might be closely matched, but Maruti Suzuki understands that there’s a void in the portfolio, especially that of a product that could offer more than the current crop of hatchbacks without challenging the S-Cross. And that’s where the upcoming Suzuki Baleno (Maruti YRA) comes in. The car is said to be based on an all new, lightweight platform by Suzuki. So expect better driving dynamics, which the Swift isn’t really short of. While the Swift doesn’t match up to the Fiat Punto in terms of stability and corner-attacking confidence or even the robustness of the Polo, it’s a well rounded car. Turn that to 11 in case of the upcoming Baleno. From the leaked and scoop pictures it appears that the car is longer than the Swift. That might take away the nimbleness a little, but will add stability. Premium hatchbacks rely a lot on their interiors. The Elite i20, for instance, offers a feature rich and premium cabin, which can easily shame a few similarly priced sedans. Expect the Maruti YRA (codename for the Suzuki Baleno, although it remains to be seen whether or not Maruti uses the same model name) to take it a level ahead. It’s likely to continue with Maruti SmartPlay system, which also is available on the Ciaz and the S-Cross. 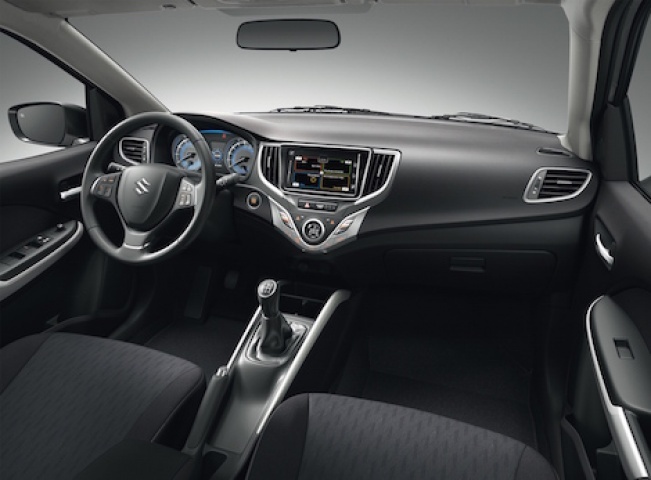 A new design for the centre console will help break the monotony that the Maruti line-up has. An automatic climate control will also be present. The engine line up for the Baleno isn’t going to change from what’s currently being used, except for the introduction of a 1-litre turbocharged petrol engine for the European market, which might not make it to India. The usual engine choices will include the Fiat-sourced 1.3-litre diesel engine. The recently introduced mild hybrid system from the Ciaz SHVS could also make it. What remains to be seen is whether MSIL continues with a diesel only line up, like in the S-Cross, or use an existing petrol engine like the 1.2-litre unit that does duty in the Swift. While Maruti has received flak for not offering safety features on base variants of its products, the company did change a bit with the introduction of the S-Cross crossover. 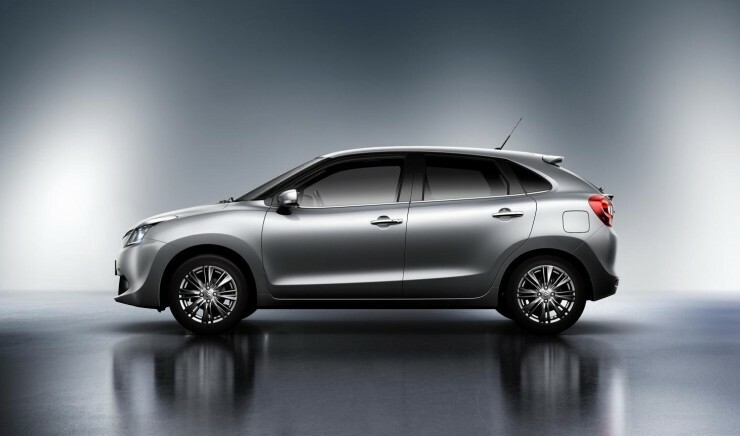 Both dual airbags and ABS are offered across the range, and let’s hope that is continued with the Baleno as well. Since it’s a global product, Suzuki isn’t going to sell a lemon here, which means crash worthiness and structural integrity will not be forgotten (it’s too soon to say about NCAP rating as the vehicle isn’t launched yet). A decent set of safety features will ensure that it offers more than the competition, and as a market leader, Maruti sets a good example for others, too. 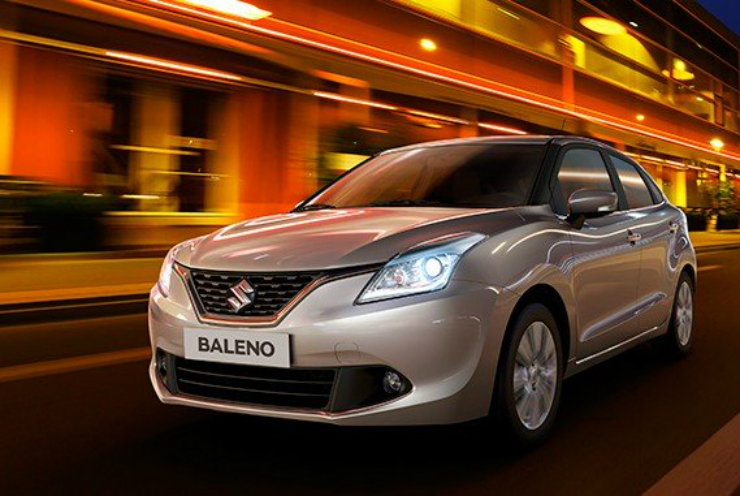 As mentioned in our previous story where the Suzuki Baleno’s front-end was unveiled, it looks a bit grown up. 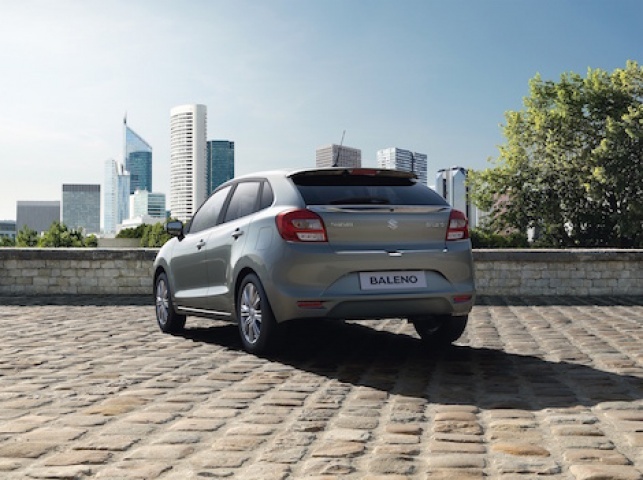 While there’s still familiarity in the design, the Baleno is more mature and less boy-racer. Not as striking as the Swift (especially the second generation version), the Baleno could easily cater to a wider audience. 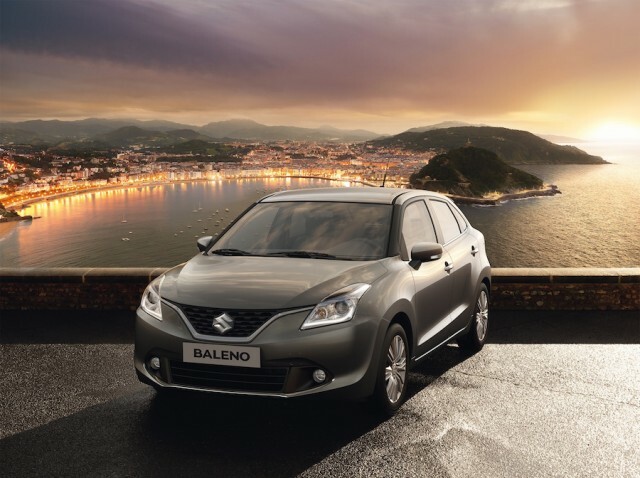 The chrome door handles, LED daytime running lamps, alloy wheels, and a roofline that is understated yet premium, all of that will add up, and make a stronger case for the Baleno. Or whatever the car is going to be called in India. What’s in a name… Maybe everything! Especially when we are talking about Maruti. « Why the Hyundai Creta the “king of the hill” among SUVs in India?